​Regulations for indoor environments continue to get tougher each year. In many industries, chemical fumes, welding gases or engine exhaust can cause severe respiratory issues with workers. These harmful gasses and fumes also impact tool longevity, and production quality. Airmax carries many different fume extraction systems to ensure worker safety concerns are met and that indoor environments are maintained to code. These unique tables are used in fine dust and fume applications such as welding, chemical mixing, and grinding and buffing. These downdraft tables combine work surface with the particulate collection area, and are designed to draw contaminents away from the worker’s breathing zone without hindering the worker’s movement or productivity. Airmax offers a variety of portable or stationary tables, as well as self contained units or units that connect up to a central dust collection system. The innovative design provides quick and easy filter changes resulting in very little downtime. ​Portable collectors are used where airborne contaminants cannot be captured by ambient filtration units or by downdraft tables. These mobile and flexible units can draw smoke and fumes away from a workers face while not hindering the workers movement. Due to the small efficient size, these units draw very little power and are extremely economical. There are multiple types of filters for these units, such as aluminum mesh pre-filters, high-pressure polyester bag filters, and cartridge collectors. ​Fume hoods are self-contained work stations, used to draw harmful chemicals and airborne particles away from the worker’s breathing zone. 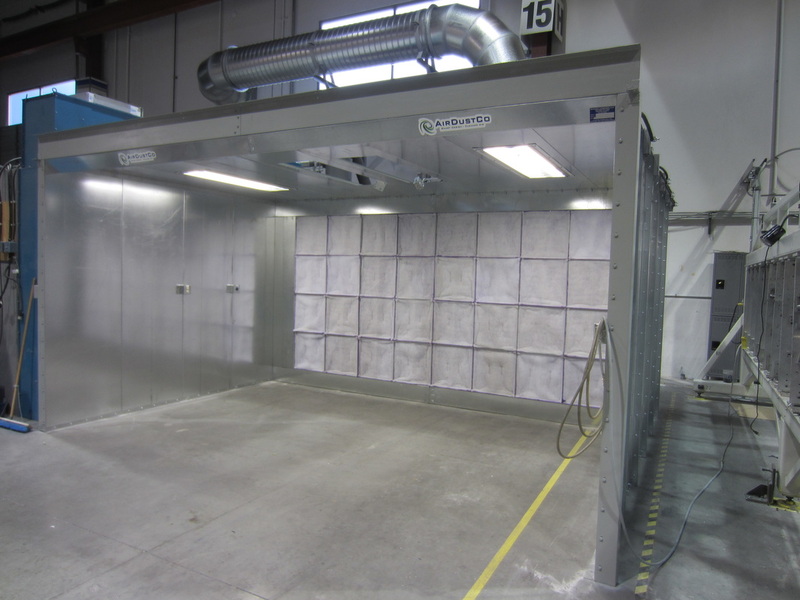 Airmax offers portable fume booths or desktop fume booths, ranging from 230 CFM up to 800 CFM these units are ideal for painting of small parts or for small parts requiring chemical wipe downs. 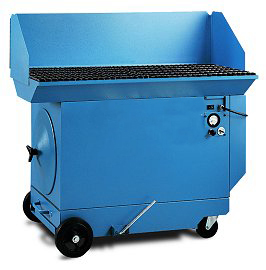 When turned on the fumes are pulled away from the front of the booth, through a series of filters such as HEPA or charcoal filters.